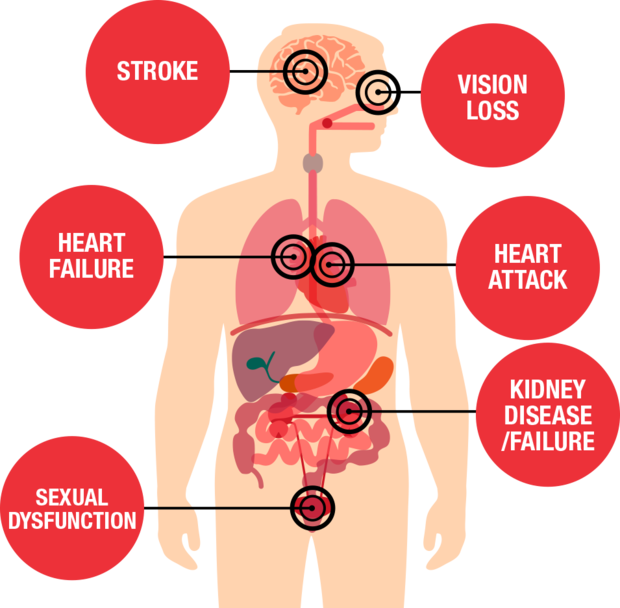 Cardiovascular disease symptoms range widely depending on the underlying disease. Although there is repeated reference to cardiovascular disease also known in short as CVD as a single disease, as a matter of fact CVD represents quite a huge cluster of diseases that go by a variety of names. In many cases cardiovascular disease has been mostly talked about in a manner that limits it to heart disease, heart failure and sometimes stroke. However, these are just a part of the bigger scope of cardiovascular diseases. We recommend a look at our in-depth definition of cardiovascular found here which should help a great deal appreciating the following cardiovascular disease symptoms and treatment as listed. The following are cardiovascular diseases and their respective symptoms and possible treatment options. While the name used here my not be common, the medical issue itself is very common and is refereed to in simple terms as heart attack. 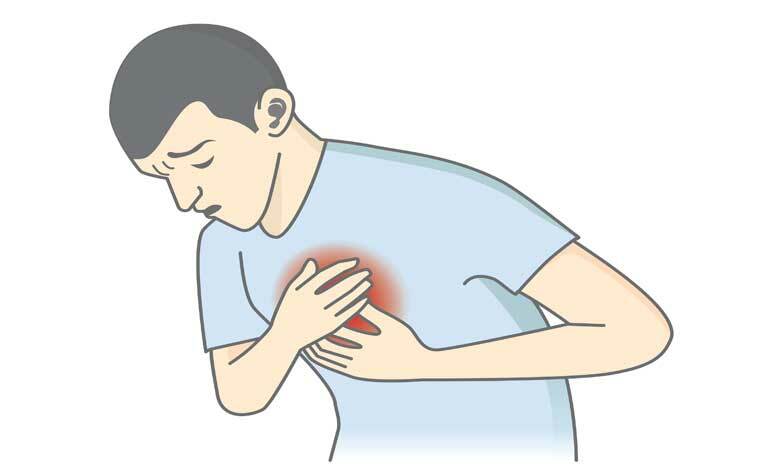 A heart attack or acute myocardial infarction occurs when oxygen-rich blood is blocked from reaching a section of the heart muscle. When this happens that section begins to die unless blood flow is restored quickly. Myocardial infarction is itself often a result of coronary heart disease (CHD) which we list below. 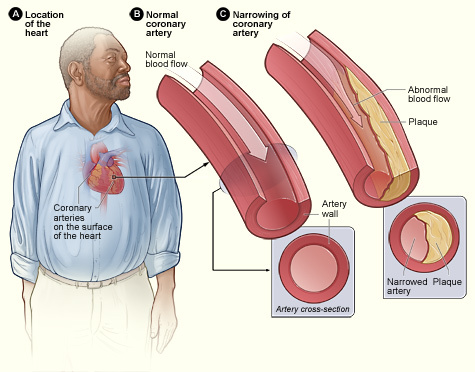 Plaque and blood clots can block arteries leading to a heart attack. Hypertension also known as high blood pressure is a cardiovascular disorder that is predominant in many populations globally. When considering cardiovascular disease symptoms, hypertension is largely asymptomatic the reason why it is called a silent killer. The causes of hypertension are genetic in nature but predominantly lifestyle related. Often, people mention dizziness, headaches, and weakness among a long list of supposedly high blood pressure symptoms. A 1988 study in the Journal of Hypertension (1988 Nov;6(1):S87-90) concluded that "these symptoms do not constitute a reliable criterion for starting antihypertensive treatment or judging its efficacy". 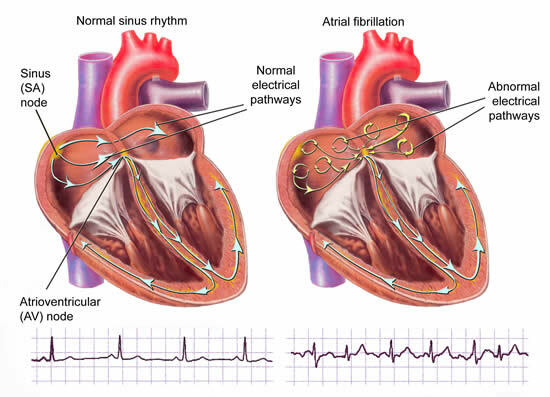 Irregular heartbeat also known as atrial fibrillation, cardiac arrhythmia or simply arrhythmia is a disorder were the heart beats to fast or too slow or beat with an irregular rhythm. This is caused by a misfiring of electrical signals in the heart's chambers. The heart has an electrical system which is responsible for the beating rhythm. Some of the underlying causes include damage following a heart attack, heart surgery and heart muscle changes. While irregular heartbeat can be harmless, for the most part, in some cases it can be life threatening. 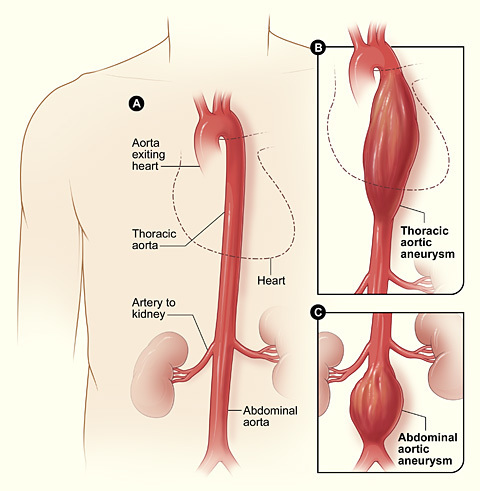 Aneurysms is yet another cardiovascular disease whose symptoms and treatment varies depending on the extent of the problem. The real causes is not known although physicians posit that weakening damage caused to blood vessels by plaque and high blood pressure could be responsible. Risk factors are being over 60, of Caucasian ethnicity, smoking and hypertension according to a 2011 review published in the journal Experimental and Clinical Cardiology (2011 Spring; 16(1): 11–15). Mostly occurring in the aorta, brain, intestine, spleen or back of the knee, aneurysms refers to the enlargement or ballooning of an artery or blood vessel. The fatality of aneurysms depends on whether or not it raptures. 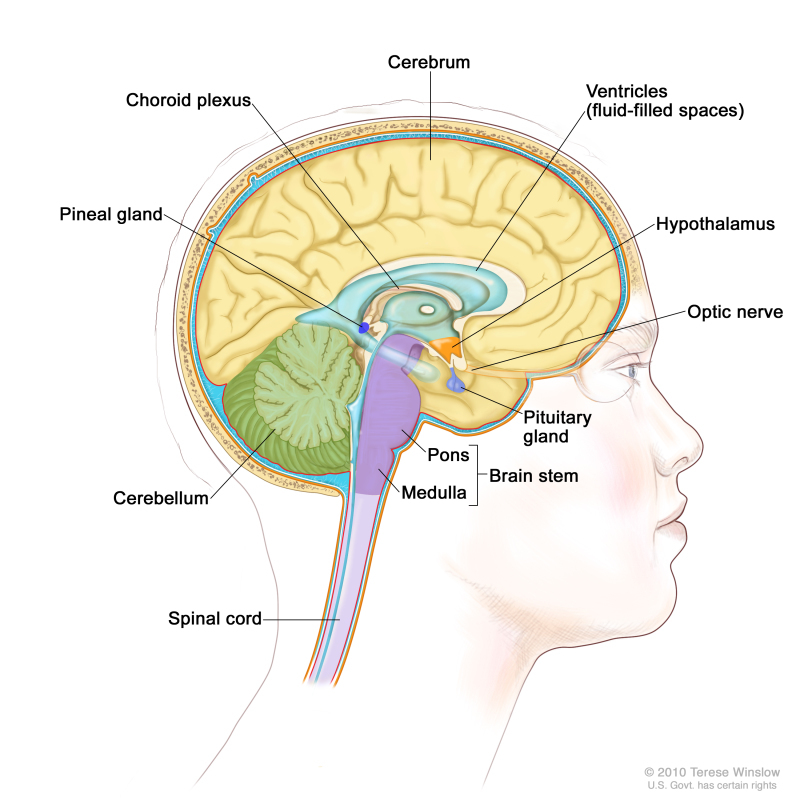 Symptoms vary based on where it occurs. Furthermore, symptoms may also only present when the enlargement has burst. No consideration of cardiovascular disease symptoms and treatment is complete without including cerebrovascular accident commonly refereed to as stroke. Even more loosely, its been called brain attack. In a more or less similar fashion as heart attack, stroke occurs when a portion of the brain is deprived of oxygen rich blood. Brain cells in that area begin to die after a few minutes. Bleeding in the brain that damages brain cells is also another frequent cause of stroke. 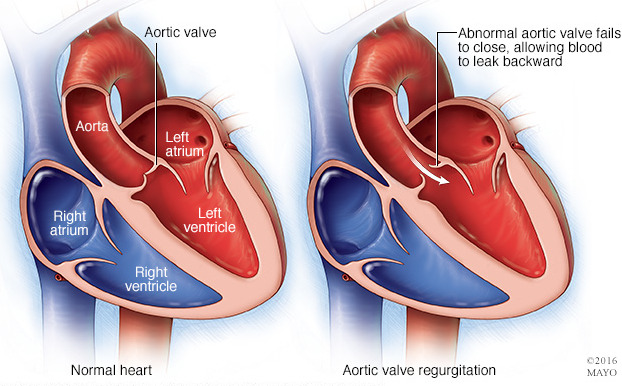 Heart valve disease is a cardiovascular disease were one or more of the heart's valves ceases working properly due to an infection, birth defect or ageing. Other conditions other than these may also result in heart valve disease. There are at least another 17 names by which this same disorder or disease is known including aortic stenosis, aortic sclerosis, congenital valve disease, and tricuspid regurgitation. As we ponder on cardiovascular disease symptoms and treatment, things get a little complex when we consider metabolic syndrome. In a similar fashion has cardiovascular disease, metabolic syndrome represents a cluster of health problems linked to an increased risk of heart disease and type 2 diabetes. 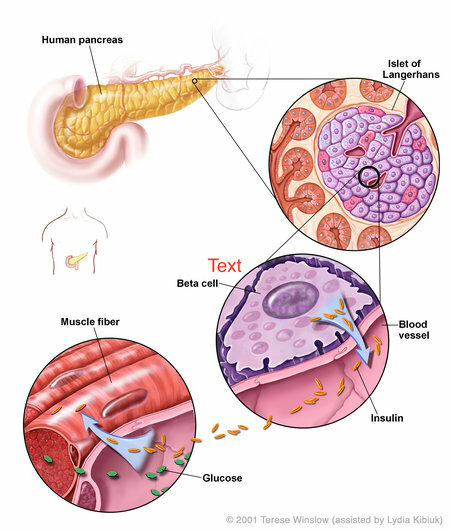 The particular health conditions are high blood pressure, high fat levels (triglyceride) in the blood, a large waist, above normal blood glucose levels and low HDL cholesterol levels. As could be deduced from the risk factors making up metabolic syndrome, mots of them such as hypertension and high triglyceride levels have no apparent symptoms. Except for a large waist which of itself is not conclusive, there is need for lab tests to be conducted in order to confirm metabolic syndrome. However, risk is also a risk factor which in the United States Mexican-Americans are considered at higher risk. 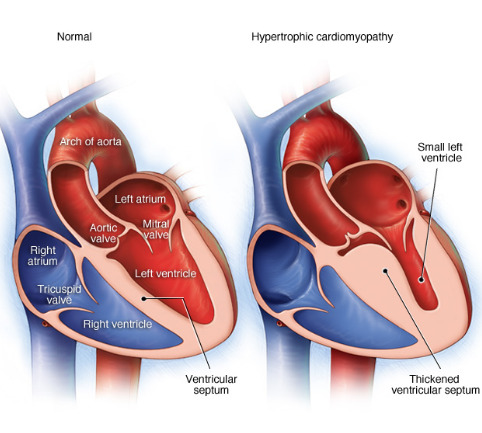 Cardiomegaly is also simply known as enlarged heart. The heart may enlarge due to hypertension or coronary heart disease. Other causes include a damaged heart valve, previous heart attack, old age, obesity, pregnancy, alcohol, HIV infection and thyroid disease according to Better Health Channel. 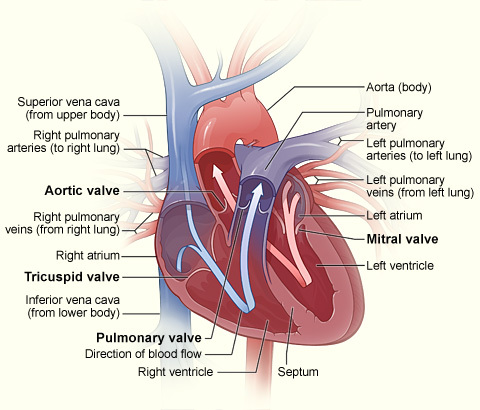 As the enlargement continues, the heart reaches a point were its unable pump blood leading to heart failure. Of all considerations of cardiovascular disease symptoms, causes and treatment coronary heart disease is among the most discussed. This is easy to understand when the prevalence of CHD and its potential complications are considered. CHD occurs when waxy substance gradually blocks the coronary artery leading to hypertension, blood clots, heart attack and even heart failure among many other problems. A 2016 review published in the journal Annals of Translational Medicine (2016 Jul; 4(13): 256) stated that CHD is a leading cause of death and disability in advanced countries. Just as the others we have already considered, no discussion on cardiovascular disease symptoms, causes and treatment could be complete without the mention of cardiac arrest. 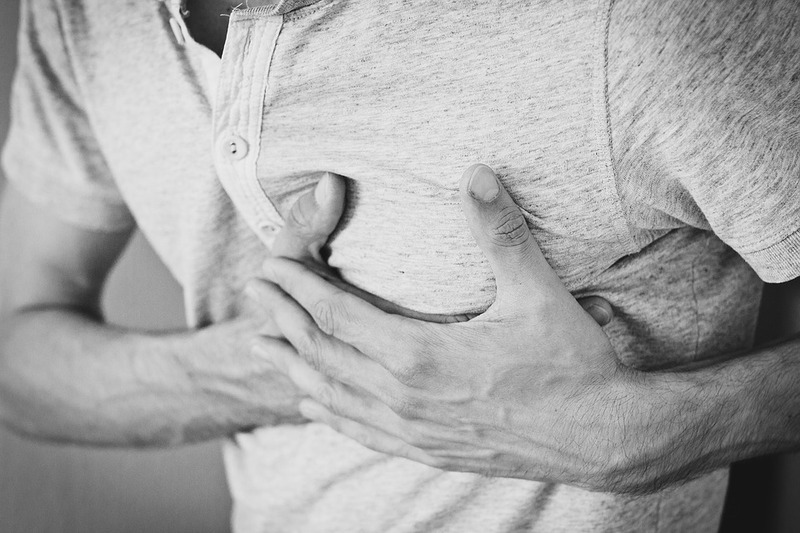 In fact cardiac arrest has featured prominently in mentions of cardiovascular disease in both medical literature and general health information. Cardiac arrest is not the same as heart attack although the two are repeatedly confused. It is the sudden loss of heart function, breathing and even consciousness. It is usually a result of an electric disturbance in the heart's function. According to the American Heart Association (AHA), cardiac arrest maybe a result of arrhythmias or irregular heartbeat discussed earlier. Cardiac arrest often occurs without any warning whatsoever. However, the following are some of the symptoms that may occur. Arterial embolism also known as vessel blockage is a cardiovascular problem that is caused by a blood clot, air bubble,mass of tissue or a foreign substance blocking the arteries. It is among one of the highly concerning cardiovascular disease symptoms. Embolism maybe a symptom of other cardiovascular problems such as plaque in the arteries which dislodge and then block the free flow of blood in the arteries. 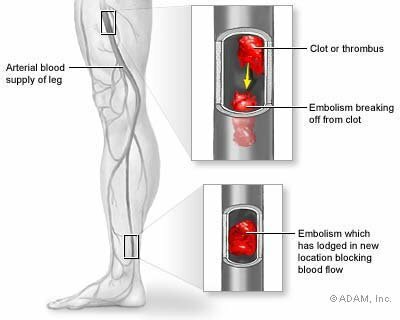 There are different types of embolism depending on how and where they occur in the body. Apparently, this list of cardiovascular disease symptoms and treatment options demonstrates that there is more to cardiovascular disease than first meets the eye. Cardiovascular disease is a broad . What is also clear is that cardiovascular problems are very much interrelated so much that one single problem has potential to trigger a chain of other problems sometimes with fatal outcomes.